When I kid, I often gave up chocolate for Lent. GOD I WAS SO STUPID. While I'm not a chocoholic, I love it enough such that depriving myself of all cocoa products for 40 (or more, depending on if you cheat on Sundays) days was not good for my soul. Or for my friends and family who bore the brunt of my crabbiness. 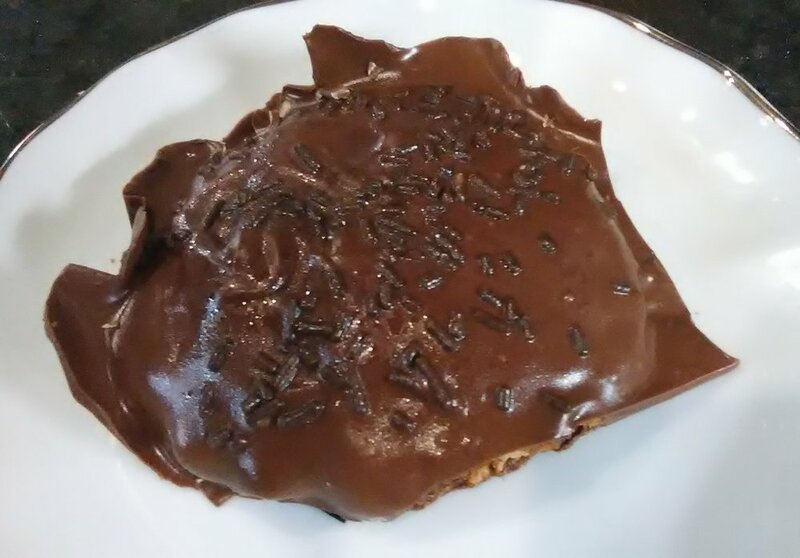 This cookie uses five different forms of chocolate I happened to have on hand but you can easily swap out the listed varieties for others. Key, however, is including different types with varying cocoa content...and that can even mean zero, as in the case of the Hershey GOLD bar, hah!! But I forgive it for not being a 'real' chocolate bar because it has chocolate's good friend, the pretzel. 2. Line one cookie sheet with parchment paper (for baking); line one more (for drying). 3. In a medium-sized bowl, combine flour, baking soda, salt, and cocoa thoroughly. Set aside. 4. In a large bowl, blend butter, sugar, egg, and vanilla using a hand-held mixer on medium speed. 5. Gradually add mixture of dry ingredients to wet, beating to combine thoroughly. 6. With no ceremony or pretension, dump chocolate chips, shattered GOLD bars, and chopped dark chocolate into batter. Stir vigorously with a spatula. 7. Bake at 350 degrees for 10-12 minutes, depending on how chewy you like your cookies. 8. Cool cookies completely, and I mean completely. Shove the baking tray in the freezer if you get too impatient. 9. Place a few large hunks of melting chocolate in a bowl devoid of even the smallest drop of water or moisture (any will cause the chocolate to 'seize'). Melt slowly in 30-second intervals using the low setting in the microwave. 10. Immediately dip entire cookie into bowl, coating all surfaces. Place on second baking sheet and garnish with sprinkles. Cool completely. 11. Repeat steps 9 and 10 as necessary depending on how many cookies your dough yielded. Hint: there should be at least three. If not, I suspect you ate way too much batter.